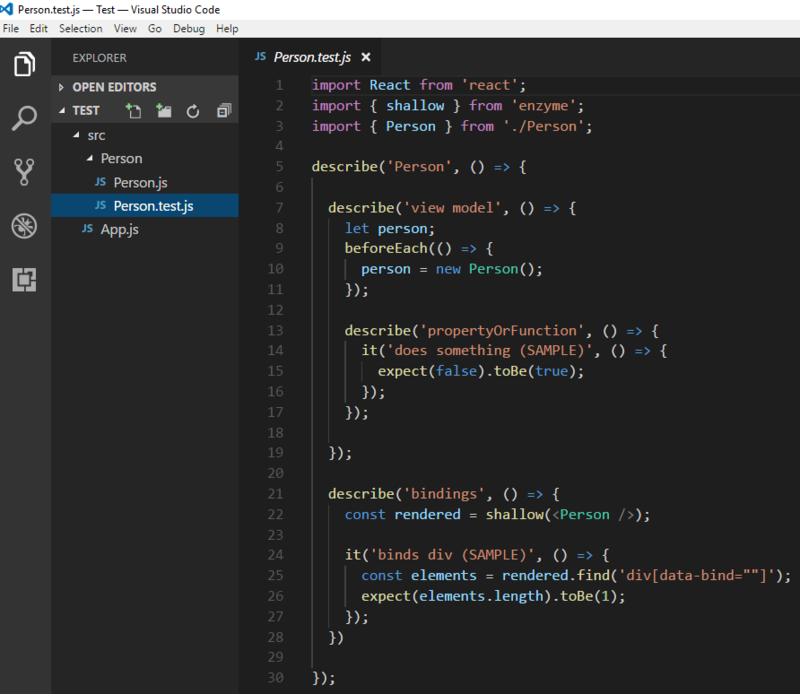 Visual Studio Code>Other>ViewModelNew to Visual Studio Code? Get it now. An even easier way to use ViewModel. ViewModel is an MVVM library for React. 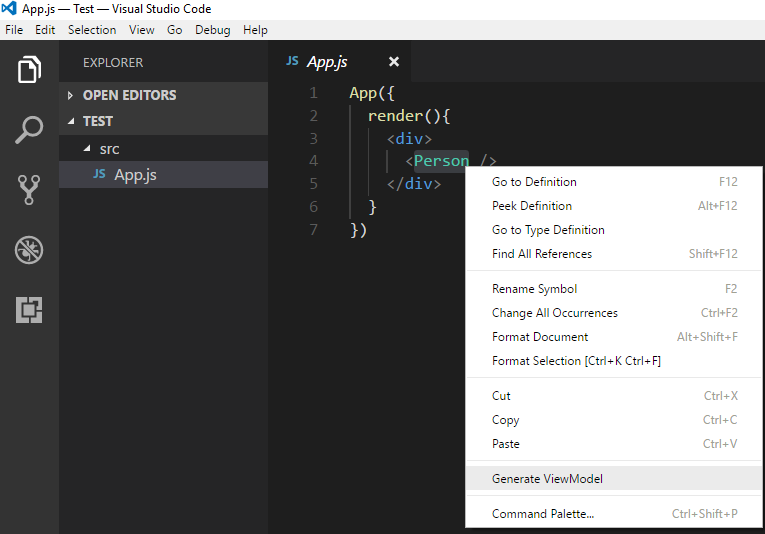 It lets you create your components using simple view models and bindings. You can think of it as Knockout for React or Angular without the ceremonies and boilerplate. See the extensive documentation at viewmodel.org for more information. It lets you right click a component in your HTML and generate a new component of that name.